Briefing newsmen at the Headquarters, the Abia State Commissioner of Police CP. Leye Oyebade reiterated the command's determination to make the state crime free and safe for its inhabitants is pressing on with the implementation of its anti-crime strategies. "These measures which are mainly proactive are intended to nib crimes in the bud by being steps ahead of the perpetrators of crime. 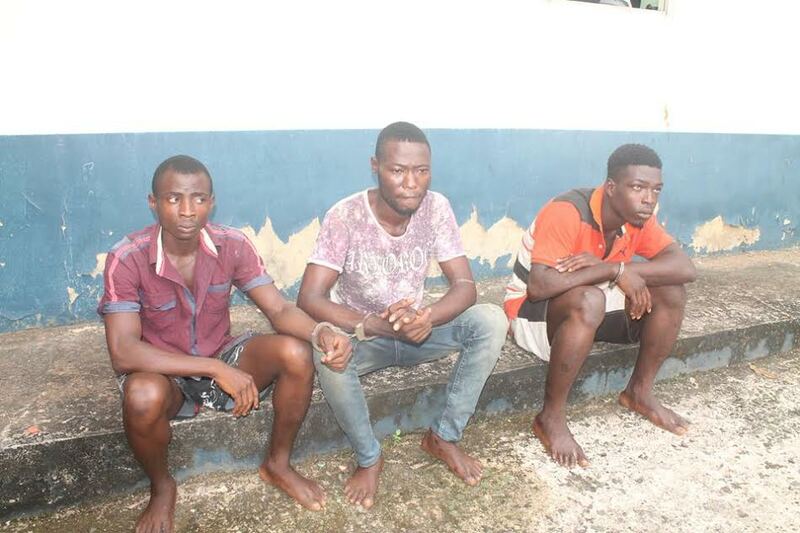 The operatives at Arochukwu Division, acting on information, on 7/12/2016, at Ndi Okpo Ihechiowa in Arochukwu Local Government Area, arrested one CHIDIEBERE NNANNA aged 18 years and one UDO OKPO aged 28 years, all male of Umuye Ihechiowa in Arochukwu, that robbed one Ogbonna Uka, male of Ndi Okpo and shot him on the fore head. The suspects confessed to the crime and effort is on to arresting the other fleeing gang member. 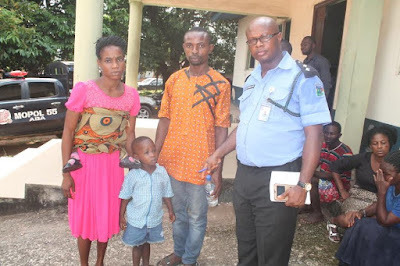 The operatives of the Anti-Kidnapping Section of the State Criminal Investigation and Intelligence Department, Umuahia, acting on the intelligence received, on 11/12/2016 arrested one OBINNA NKILI ‘m’ of no fixed address, at Abiriba Street by Uzuakoli Road Umuahia, for robbing the occupants of the streets. 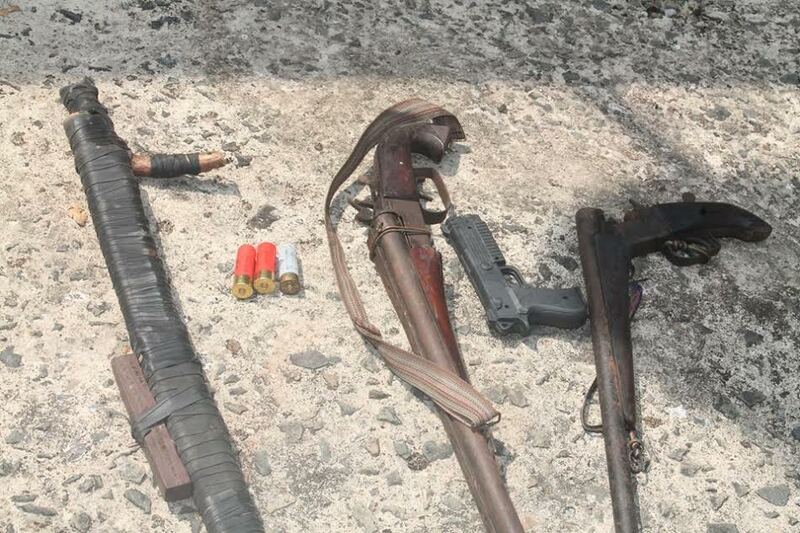 The suspect is one of the notorious criminals that have been terrorizing the environs. He will be arraigned in the court appropriately. 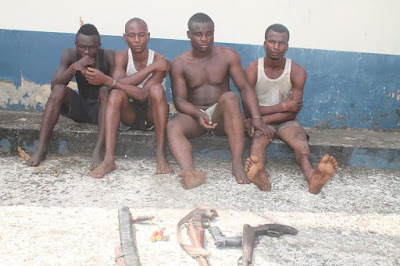 They will soon be arraigned in court appropriately. 2. RECOVERY OF STOLEN VEHICLE. The Safer Highway Patrol Team of the Command at Obehie Junction, along Aba/Port-Harcourt Expressway, on 03/12/2016 intercepted a Toyota Corolla vehicle with registration no. AAA 851 BM with two male suspects, on searching the vehicle the suspects pretending as if they were urinating took to their heels. On investigation, one Hon. 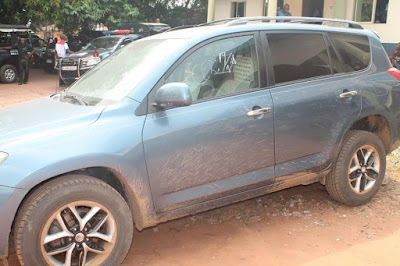 Cletus Bassey, ‘m’ of Demment Hotel, Aba but resides at Ikot Ekpene, Akwa Ibom State, confirmed that the vehicle was snatched from his wife at Ikot Ekpene, same date by eight armed men. Investigation is on to track down the fleeing hoodlums. 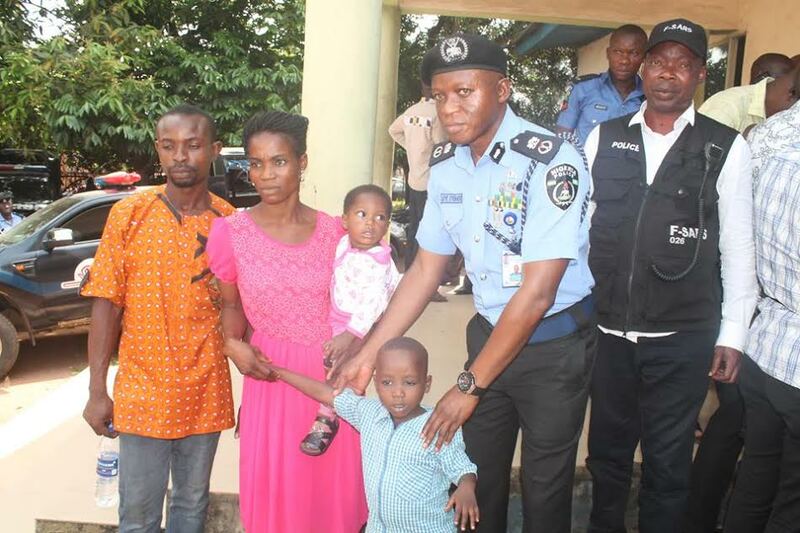 It will be recalled that on 07/12/2016, one Rowland Egbe was paraded for child trafficking, the Police Command Special Anti-Robbery Squad at Obehie on 13/12/2016, rescued one Marvelous Heart ‘m’ aged 4 years of Oyigbo in Rivers State, stolen by the same Rowland Egbe, about two weeks ago. The suspect sold the boy to one COMFORT OGBONNAYA ‘f’ of no 69B Osusu road Aba, at the cost of One Hundred and Fifty Thousand Naira (N150,000.00) only. 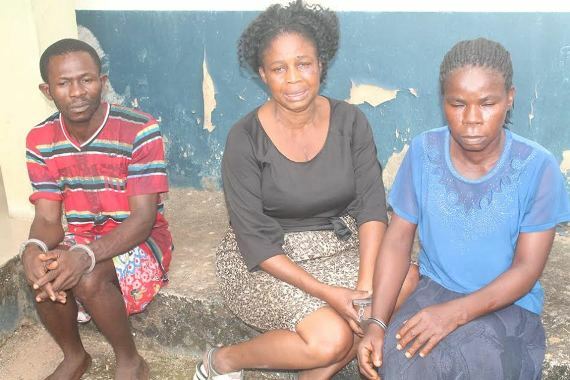 They have confessed to the crime and will soon be arraigned in court. The operatives of the State Intelligence Bureau (SIB), Umuahia, acting on intelligence, on 13/12/2016 recovered a Toyota RAV 4 JEEP with registration no BDG 189 KE, from a motor mechanic workshop at Ekeakpara Osisioma, Aba, Abia State. The owner of the jeep reported that the jeep was snatched from him on 22/07/2015 at Agbama Housing Estate Umuahia. The owner of the mechanic workshop one Kelechi, is on the run and effort is on to tracking down the fleeing suspect.